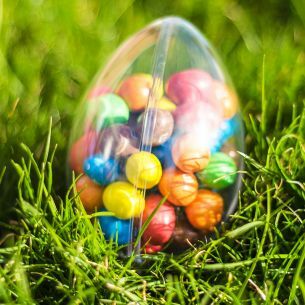 Make mini Easter treats with this great silicone chocolate mould. The 15 impressions will make 3 different styles of egg. 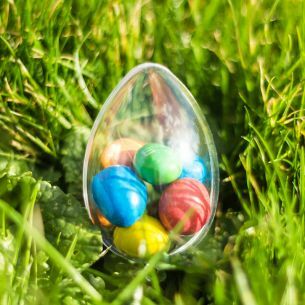 Use some melted chocolate and glue 2 egg halves together. Easter themed silicone chocolate mould with 3 egg designs, and 15 impressions in total. They are oven proof, freezer proof, microwave friendly and can be easily washed inside the dishwasher. 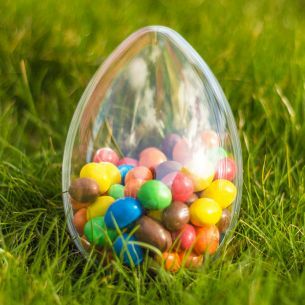 Medium (100mm) fillable Easter Egg shaped container. 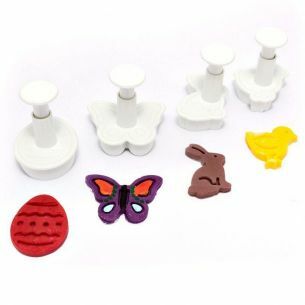 This set includes Baby Chick, Bunny, Easter Egg and Butterfly shapes.